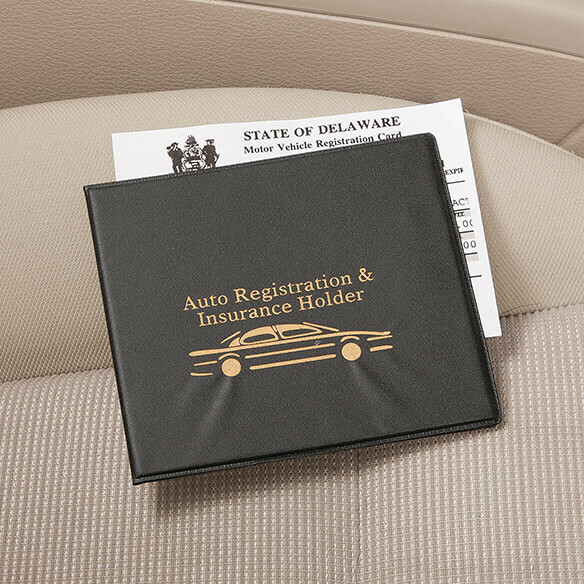 These smart auto registration & insurance holder safeguard important documents, keeping them organized and easily accessible in your glovebox. 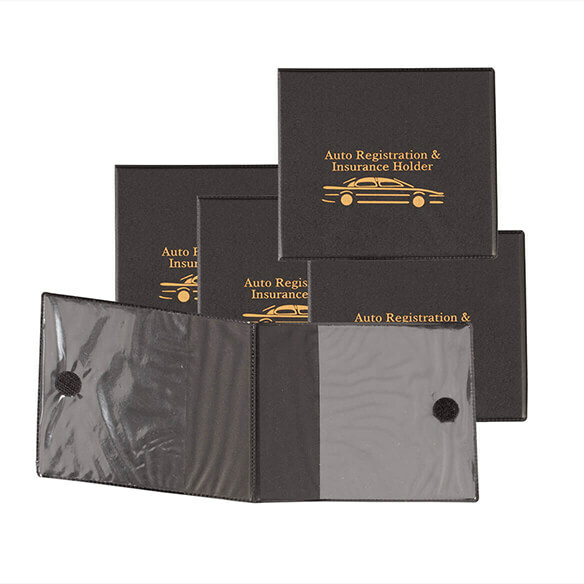 Featuring two clear sleeves to display insurance cards, registration, inspection documents and more, each compact car registration holder protects paper from damage or moisture ... and looks a whole lot better than a paper envelope! PVC. Set of 5. Each measures 5”W x 4 1/2"H closed, 10”W open. To keep the glove department clean and organized.